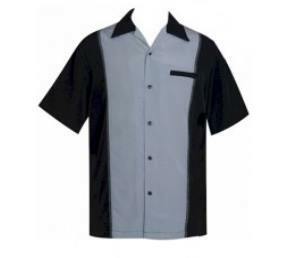 Retro Bowling style shirt with contrasting front panel. Open neck,Breast pocket, short sleeve, side vents.square cut. Machine washable easy-care choice of fabric. Any size you need can be made for you.